Mr. Stephens is an associate with Mannon, King, Johnson & Wipf, LLP Mr. Stephens was admitted to the California State Bar in 2010 after receiving his Juris Doctorate from Golden Gate University School of Law. 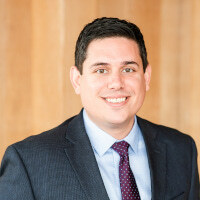 After graduating law school, Mr. Stephens returned to his hometown of Ukiah, where he practiced personal injury and civil litigation until he joined Mannon, King, Johnson & Wipf, LLP in January 2018. Mr. Stephens’ practice consists of transactional work and litigation involving real property, land use, business transactions and entity formation, estate planning, and general civil litigation.